I made this a while ago. 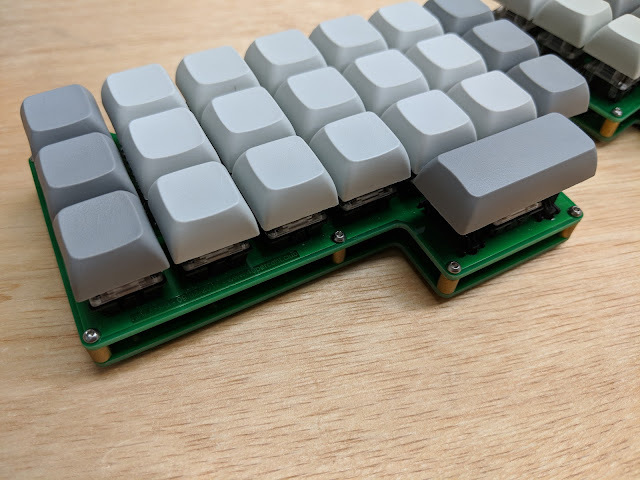 It's sort of a wider Gherkin with dedicated thumb switches. Construction is the same as a 25 or foobar. 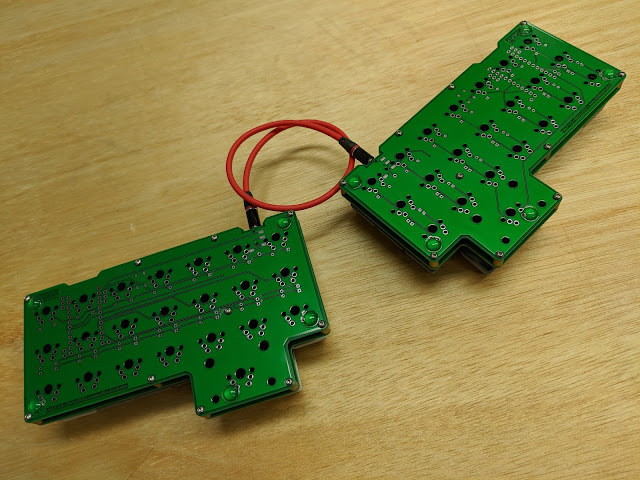 It is a single PCB design that can be assembled flipped, either left hand or right hand side up. Gerber files on github. Firmware on github. Blank XDA keycaps. 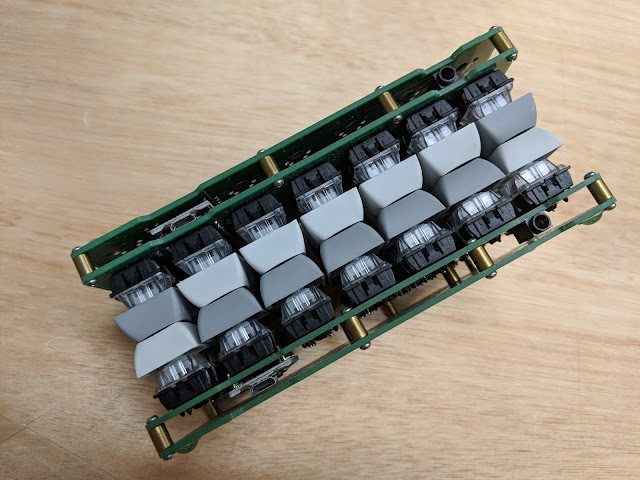 XDA has many smaller space bars. Since the space bar is isolated you can use whatever size you want. 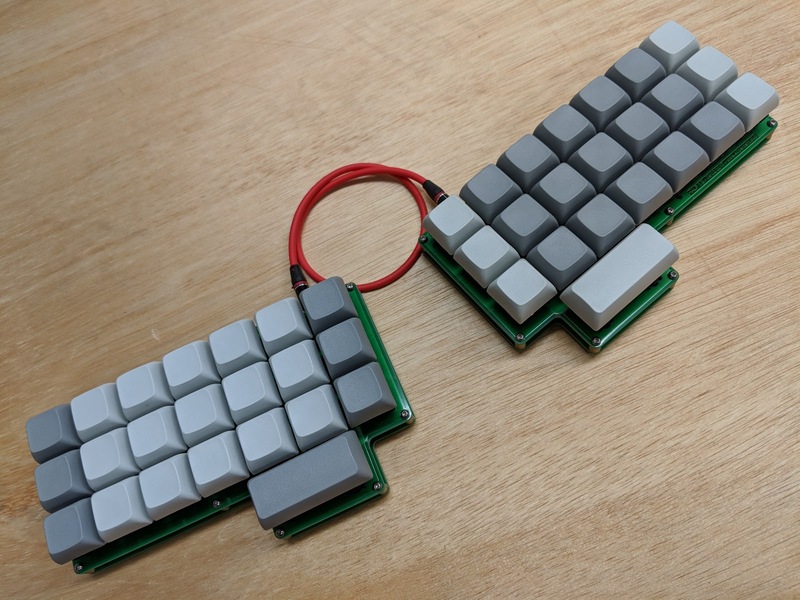 Both halves connected with a TRRS cable. A second PCB is used as a base. 3M rubber bumpons. M2 spacers and screws. Pro Micros and TRRS jacks.